The Fitness Competitors are seated on the bottom right, the female bodybuilders on the bottom left. The finest line-up of female muscle on the planet! and he meant that in the most complimentary way possible. 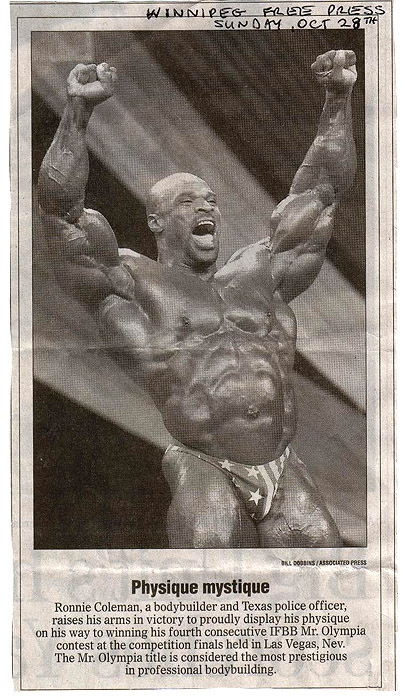 My photo of Ronnie Coleman winning his 4th Mr. Olympia appeared in newspapers world wide. Now what we need is the same coverage of the Ms. Olympia!! !